Have you ever noticed how a hug can relieve anxiety? Being held feels good. That’s kind of the root idea behind a Thundershirt. They have been proven to relive anxiety in most dogs & cats. I have one myself. The Thundershirt applies a slight, even pressure around the body. It was created by Phil Blizzard who is the owner of Thunderworks. The original Thundershirt was a tee shirt with packing tape. Phil’s dog Dosi was very afraid of thunderstorms & fireworks. A friend suggested swaddling as you would a baby human so the next thunder storm they wrapped Dosi in a t shirt & she was immediately calmer. They tried the t shirt again with the same results; Dosi calmed right down. 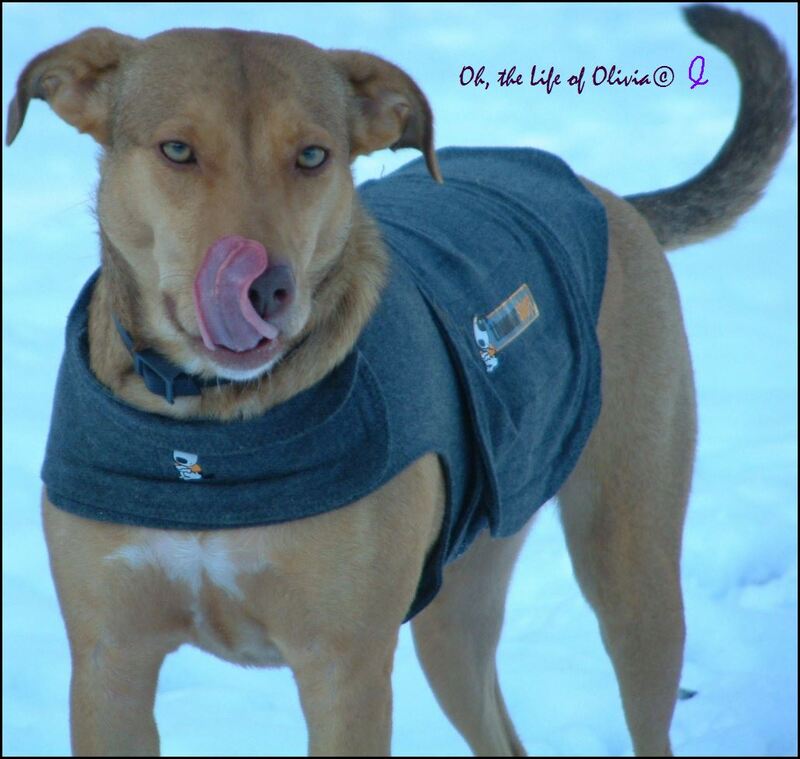 The Thundershirt is made from thin, stretchable fabric & is held by Velcro. It can be put on as easy as a coat. I like wearing mine because it calms me when we have guests or are on a long road trip. I would recommend using a Thundershirt if your good dog or cat suffers from anxiety. Here you can read the science behind a Thundershirt. I would like to be clear that Knotty Toys for Good Dogs is not being compensated in any way for this blog post. We simply believe in the effectiveness of the Thundershirt. We’ve used one in the past on a dog that had PTSD with some success. Yours is quite stylish! Thank you. I do love wearing it.